Welcome to Hero Academy! Join Jack and your other new classmates at this secret school, where the lessons are more exciting than Maths and PE. But when a portal from the evil underground realm of Noxx is discovered beneath the school, Team Hero needs your powers. The next invasion is upon us! Surprisingly, I had a lot of fun reading this and I’m about twenty years older than the intended audience! Jack Beacon is a school kid with scaly hands that he keeps hidden in gloves. His classmates tease him, until he manages to stop a moving car simply with his hands. Before he has time to work out what’s happening, a woman named Miss Steel finds Jack and brings him to Hero Academy. He joins other classmates who all have different types of powers. Here, they train and learn how to defeat the evil underground realm Noxx. This book, with its comic-strip type illustrations, actually reminded me of a lot of animated kids shows I watched as a kid. The combination of superpowers and an academy would no doubt really draw a young reader in. 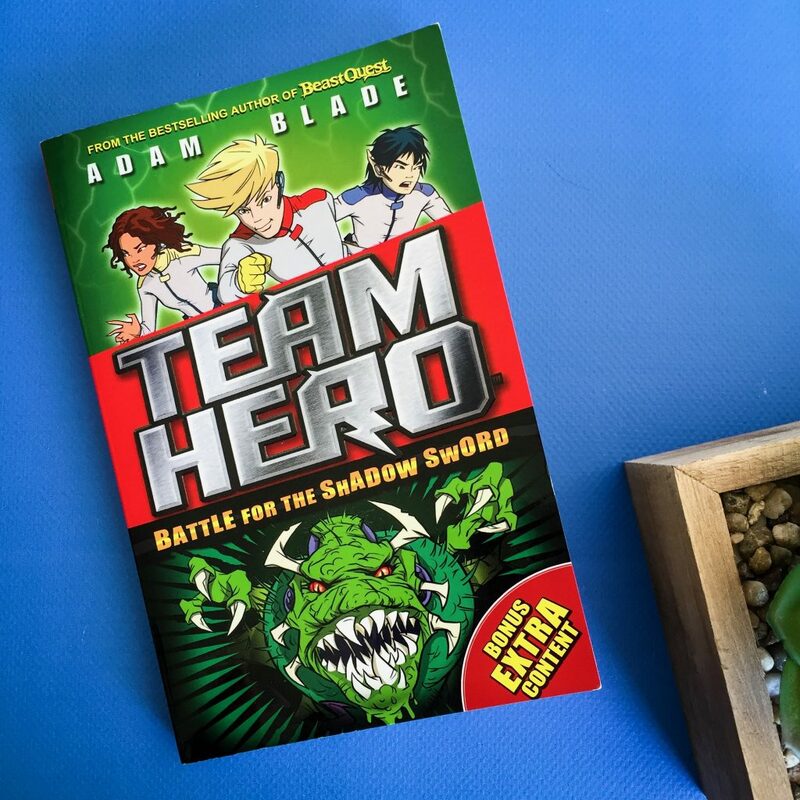 Battle for the Shadow Sword is the first book in the Team Hero series. There are eight books coming out in total. I recommend this to parents who are looking for something adventurous for their young child to read. Given that I loved reading it and I’m an adult, at least a parent would enjoy reading it to their child (after all, it’s always good if the parent actually likes the book as well as their kid).